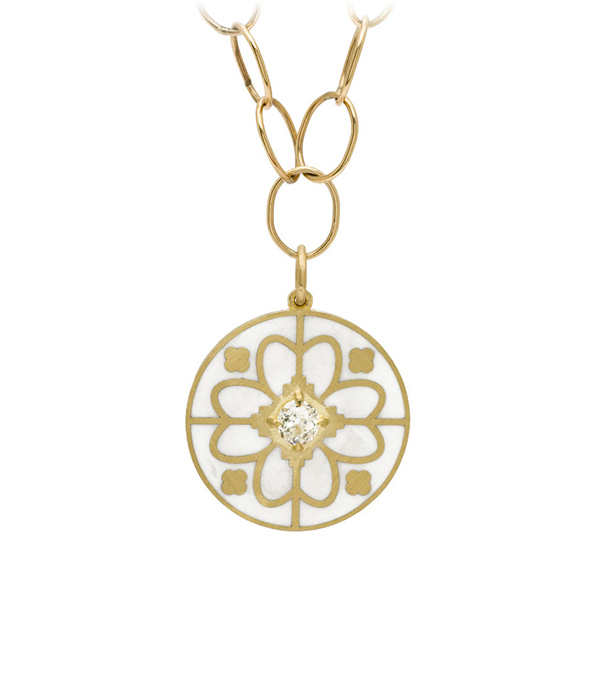 A beautifully patterned piece, this 18K gold, white enamel, and diamond pendant has a lovely inspiration story as well. We started with the notion of a compass. Compasses were given as gifts carrying the message of "always being able to find your way home." 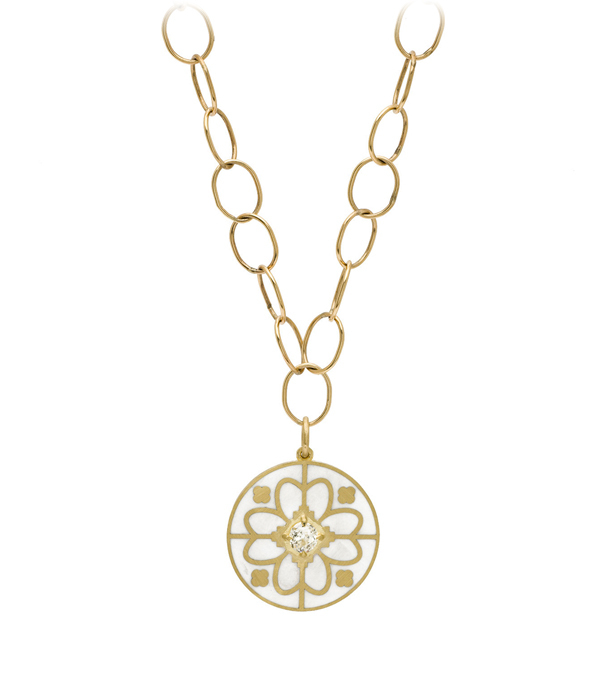 Beautiful as a gift to a loved one or yourself, as an artful reminder to follow your inner compass on the journey of life. This pendant features a blank reverse side should you want to engrave a special message, initial or date on this noteworthy piece. *Pendant is shown on handmade chain, sold separately.